The long-distance messaging helps bacterial colonies survive and thrive. Bacteria may be unicellular but that doesn't mean they're complete loners. They often congregate in (relatively) large colonies, not unlike human cities. In fact, a team of researchers from the University of California, San Diego have recently discovered that at least one species has even developed a long-range (again, relatively) communications mechanism which works very similarly to the brain's neurons. 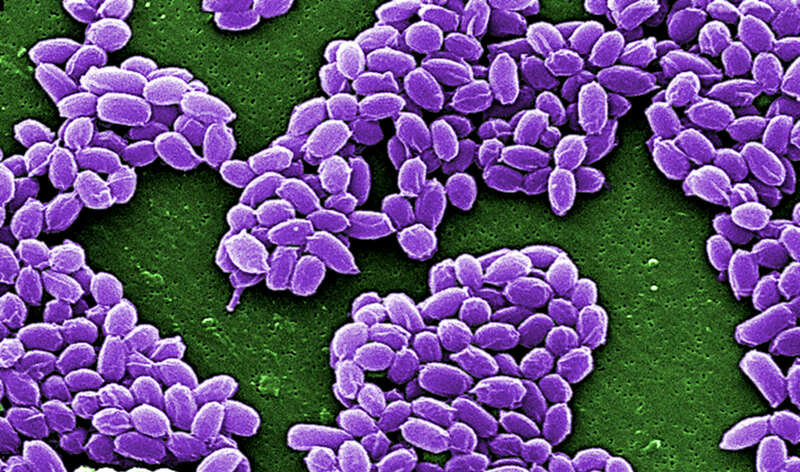 Two years ago, UCSD researcher Jintao Liu was working with a colony of Bacillus subtilus, which secretes a slimy mat of mucus, aka a "biofilm", that the colony then lives upon. Liu noticed that the mat would expand and then stall in regular intervals -- specifically, every two hours. Turns out this was intentional on the part of the bacteria. By pausing occasionally during its expansion, the colony can ferry nutrients from the edge of the mat back to the center. If they didn't, the colony members in the middle would starve, the biofilm there would disintegrate and the members at the edge of the mat would be left vulnerable. So it's in everybody's best interest to take routine breaks. But while researchers figured out the "why", they couldn't pin down the "how." It was clearly different than the conventional method of bacterial chemical communication, known as quorum sensing. The researchers discovered that members of this species actually possess ion channels in their membranes, which can be open and shut like microscopic portholes. This allows the cells to send and receive positively charged potassium ions. The team found that when the bacteria at the center of the mat begin to starve, they open their portholes and begin emitting potassium ions. This, in turn, causes neighboring colony members to do the same until the effect cascades into a large electrical pulse that runs to the end of the mat and instructs those at the edge to stop pushing forward. This effect is identical in principle to how neurons fire. Even the ion channel-based mechanism is the same. I mean, granted, this is occurring across a large number of individuals, rather than cells within a single organism, but the effect is identical. In essence, the bacteria at the center and edges of the mat are speaking to each other using a mucusy game of Telephone. What's more, the potassium wave transmits beyond the edge of the film to attract other mats of B. subtilus to join up. It could even act as a "common language" between different species of bacteria, since potassium is essential to life and present in every cell. "It allows species to communicate across evolutionary divides and create mixed communities," Jacqueline Humphries, one of the team's members, told The Atlantic. "It's changed my perspective on biofilms."